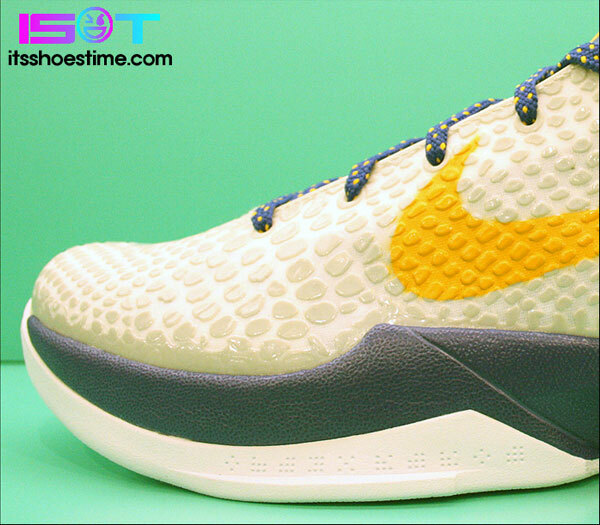 One of the several Zoom Kobe VI colorways remaining for this year is this clean Lakers home colorway. 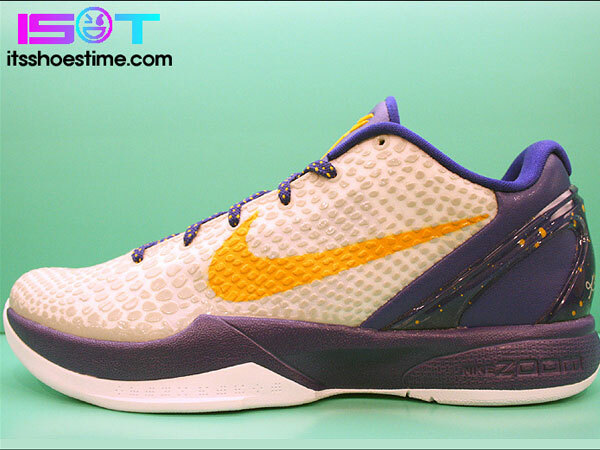 One of the several Zoom Kobe VI colorways remaining for this year is this fresh Lakers home colorway. Just like most Laker-inspired sneakers, we see a unique combination of white, concord and del sol. 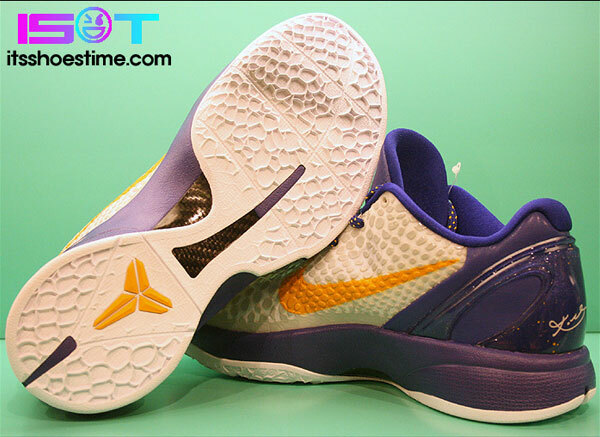 Likey to be see on the feet of Kobe this season if the lockout would just go somewhere, this particular pair arrives with a white Skinwire base and a del sol Swoosh. Concord takes the Laker inspiration to the next level, covering the heel area and del sol speckled heel counter. Concord also covers the midsole and tongue, accented by del sol on the Shozoku tongue logo and speckled laces. 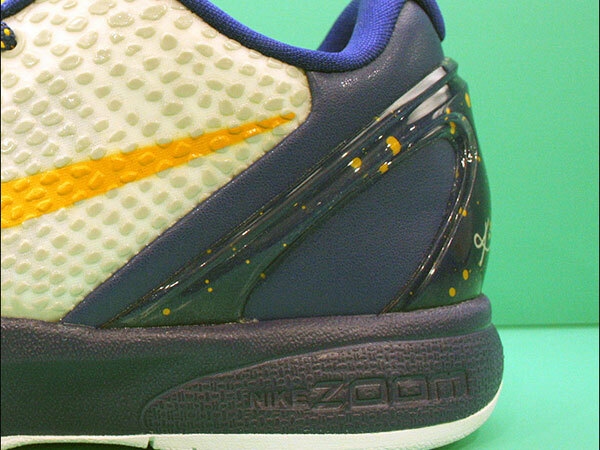 Enjoy several detailed shots below, and look for this all-new Zoom Kobe VI Lakers home colorway to hit Nike Basketball retailers next month.